Free From Hot Cross Buns (Gluten-free, Dairy-free, Refined Sugar-free) | The Free From Fairy. As I washed and polished Rosie, my T25 VW van at the weekend, it occurred to me that it has actually happened…I have hit middle age where it is perfectly acceptable to polish a car on a Sunday afternoon. If my 30 year-old-self could see me now, she would be laughing herself to tears. In my defence, Rosie is the first vehicle that I have loved enough to even wash, let alone polish (and name! ); and I was escaping from the house of illness and endless rounds of DVD’s. How is it that kids can watch films over and over again without getting bored? Anyway, since I am approaching the big 4-0 it is no surprise that I find myself doing middle aged things. I don’t plan on doing it often though…it was jolly hard work for a start! Anyway, whilst I was polishing said van, I was also doing my usual thing of letting my mind wander to what I would be creating in the kitchen. Recently my brain has been rather pre-occupied with child illnesses and new logo designs so not much thought has been given to my next kitchen experiments. 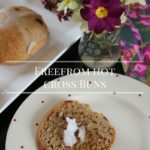 You’ll be glad to hear that the kids went back to school this morning (not quite fit and healthy, but fitter and healthier then they have been for three weeks or so) and a little space in my brain opened up allowing a little thought about Easter…and the all important hot cross buns! 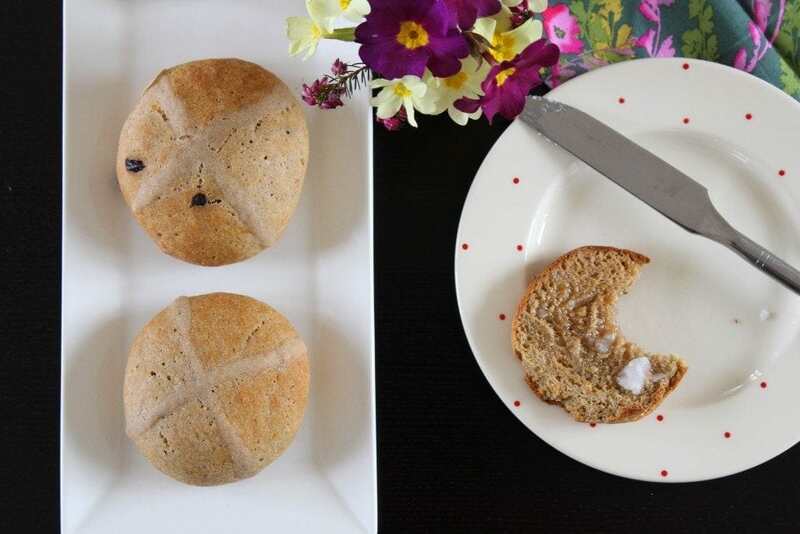 Last year I made a variation of Gluten Free SCD and Veggie’s grain-free, yeast-free refined sugar-free hot cross buns. My version contained a little gluten-free flour and they were delicious. I wouldn’t hesitate to make them again, but I fancied something a little softer and spongier this year. And since I can eat yeast now (thanks to the wonderful probiotic, Symprove) I decided on a more traditional yeast variety. 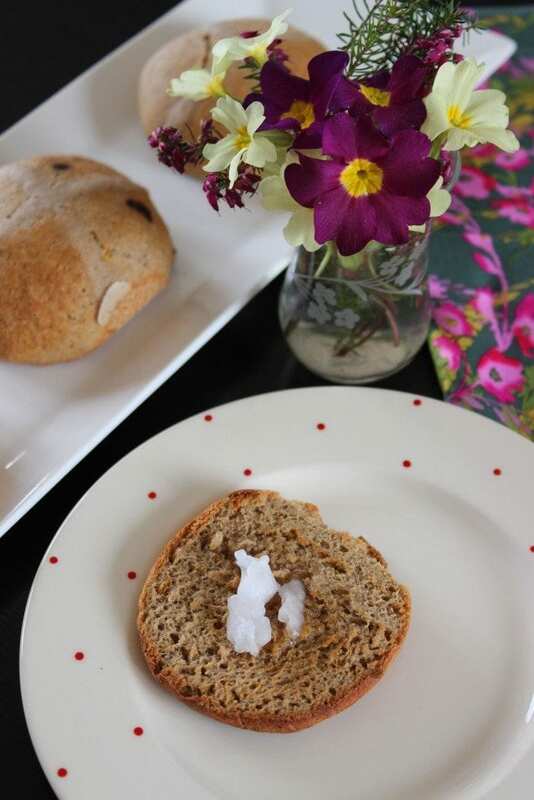 Given that I have now given up fructose (thanks to Sarah Wilson’s I Quit Sugar Programme), and have no desire to go back to eating it as my tummy is happier than it has been for a year, I made this version of hot cross bun without sugar-laden dried fruit. If you fancy a little sweetness in them I suggest adding some chopped up bits of dark chocolate (over 80%). I added that to half the batch so that the kids could enjoy a little chocolatey treat mingled with the spicy hot cross bun. I don’t know what they are like, but I can tell you that the plain hot cross bun toasted with a large dollop of coconut oil really hits the spot. As always do let me know if you make them. 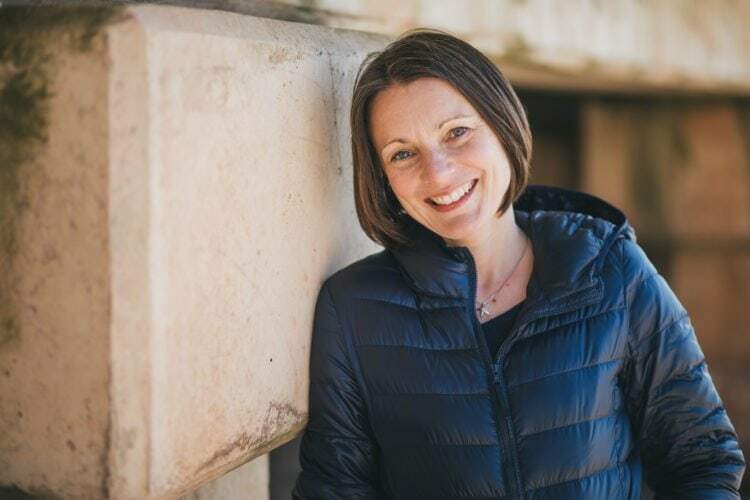 I love to hear your feedback…good or bad. It helps me to develop my recipes. 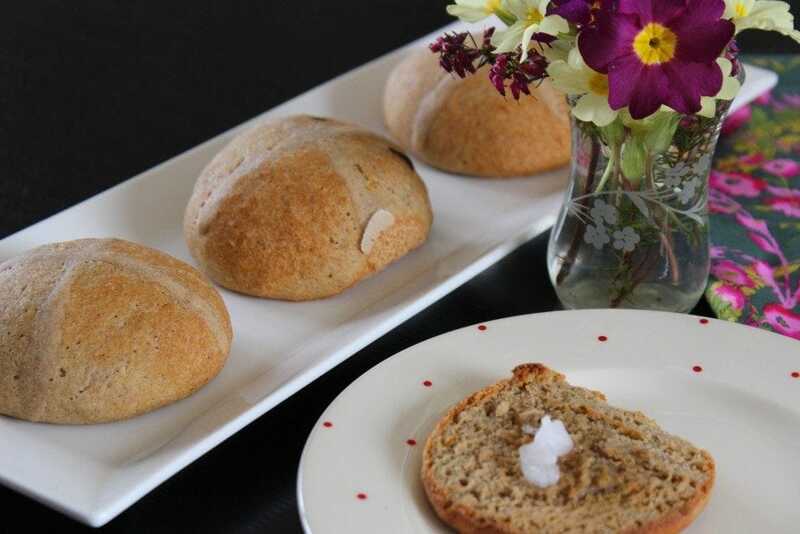 I have Just bought your flour from Amazon and tried this bun recipe. I was amazed at the texture they came out with and the flavour is yummy, thank you very much for the recipe. Brill! I’m so pleased to hear that. I am going to be creating a new, less virtuous recipe this year so keep your eyes peeled for that! Hi. I don’t have other makes of gl flour now. Can I make these using 100% your blend? Ah Angel there’s dedication. Thank you so much! I haven’t tried it yet…I made these last year when I was still experimenting. I will make them again and let you know…I think I will use half self raising and half plain when I do. I have just created my 2017 recipe that will be published tomorrow…that uses half and half and is rather moorish…so much so that I had to put them in the freezer to stop me eating more than two in a row!